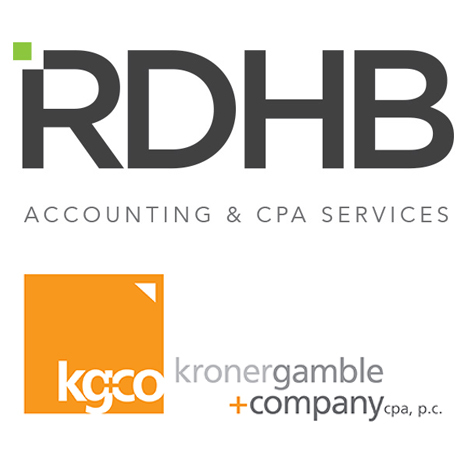 RDHBRDHB CPAs and Kroner Gamble & Company CPA, P.C., have reached an agreement to merge, effective January 1, 2018. The combined accounting firm—to be named RDG+Partners—will be led by six partners and will employ more than 30 professional staff. The boutique accounting and business consulting firm will continue to provide personalized tax, business planning, accounting, auditing, and wealth management services. It will operate out of RDHB’s current offices on Monroe Avenue in Pittsford, which earlier this year were expanded and renovated to enable greater collaboration among the firm’s staff and clients. In addition to Gamble and Rizzo, the firm’s leadership will consist of four other partners: Whitney Baniewicz, Michelle Bryant, Brian DiGiacco, and Timothy Hern.